PMS is not normal. I can’t say it enough. PMS is not normal. PMS is not something you have to just live with, put up with, or get through on a monthly basis. 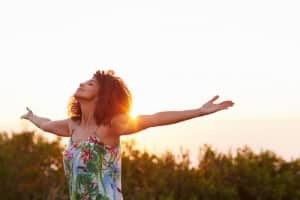 You can live a PMS-free life! All that crabbiness, agitation, anxiety, irritability, and moodiness can be put in the past. Women have come to accept PMS as part of our lot, but that’s just not true. PMS is a symptom. It’s a symptom of a hormonal imbalance that is perfectly treatable. Better yet, it’s perfectly treatable with the right kinds of food at the right times, and the right supplements. If you’re here I’m guessing you already know that the most common “treatments” for PMS either don’t work or make the root causes so much worse and come with lots of unwanted side effects. You’re looking for natural treatments that really work. Now, I’m not a big fan of supplements in themselves, just because I think you need a foundation of micronutrient dense and hormonally supportive foods first. Food is always first. No one supplement is going to solve your PMS alone. That’s just not the way our bodies work. 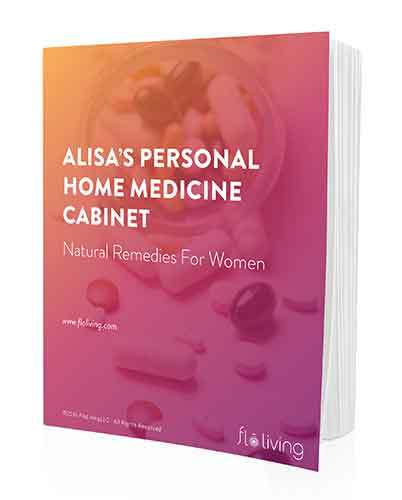 But, there are some supplements that will, when used in conjunction with the FLO protocol, particularly the specific foods that support your body during the luteal phase, that can speed up the process of alleviating PMS symptoms and preventing future PMS. So, once you have your PMS-fighting foods sorted out, as well as your PMS-preventing nighttime routine and PMS-banishing morning routine, you can start with the natural supplements. Dong Quai – this adaptogen is known as a general tonic for all women and called the female ginseng. Dong quai has muscle relaxing effects and is pain relieving for all those pre-period cramps and aches. Please note though that this powerful supplement should not be used during pregnancy, breastfeeding or if you have a family history of female cancers. Calcium – this nutrient will help with the mood swings, fatigue, headaches and acne that can come pre-menstrually. Magnesium – many women are deficient in magnesium because of our on-the-go busy and stressful lifestyles. Magnesium balances the cycle, eases bloating, encourages good sleep, and alleviates anxiety. B6 – B6 helps your body produce more progesterone. Progesterone deficiency can cause a lot of PMS-related symptoms. A low level of B6 can make estrogen dominance more pronounced, when you have too much estrogen in your blood stream and not enough progesterone. Evening Primrose Oil – this supplement has been extensively researched as an aid for hormone balance. Evening primrose oil can help with cramps, aches and pains, and headaches in the luteal phase. Vitamin E – this vitamin specifically helps with premenstrual breast soreness. As an antioxidant it protects breast tissue from inflammation. Vitex – this powerful supplement has been in use by women for a long time. Vitex increases production of hormones in the luteal phase and offsets estrogen dominance. Vitex helps your pituitary gland make more progesterone on its own. First, do you suffer with PMS? Second, have you tried Vitex? How much of each supplement should a person take? You prefer vitex over progesterone bc it helps make your own? I thought dong quai tea was supposed to be taken during the time before you ovulate? Can you take drink all month long?